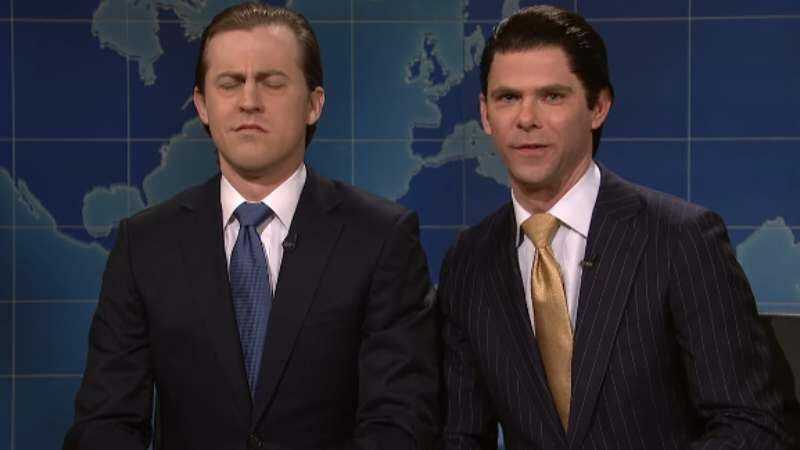 Last Saturday, Saturday Night Live took one of its now-periodic swings at the Trump family, in a Weekend Update segment mocking the idea that American Psycho extras Eric and Donald Trump Jr. were running their father’s companies without any presidential input. But while recent Trump family policy has been to shun and scream at the NBC sketch show—now that it’s no longer feeding Dad softball sketches in service of cheap publicity, anyway—it looks like Donald Jr. is attempting to extend a cereal-covered olive branch to the show. Donald Jr.—whose online interactions with comedians usually go in the other direction— posted the above photo to his Instagram yesterday, referencing the bag of Cheerios Mikey Day’s version of him fed Alex Moffat’s man-child Eric during the Weekend Update sketch. He also offered to fill in for Day if he ever needed a break—despite the fact that he’s apparently pretty busy expanding the businesses that his father is still profiting from—because while Donald Jr. might be breaking ranks with his father by playing nice with the enemy, the Trump family’s “No such thing as bad publicity” motto is clearly still firmly in place.